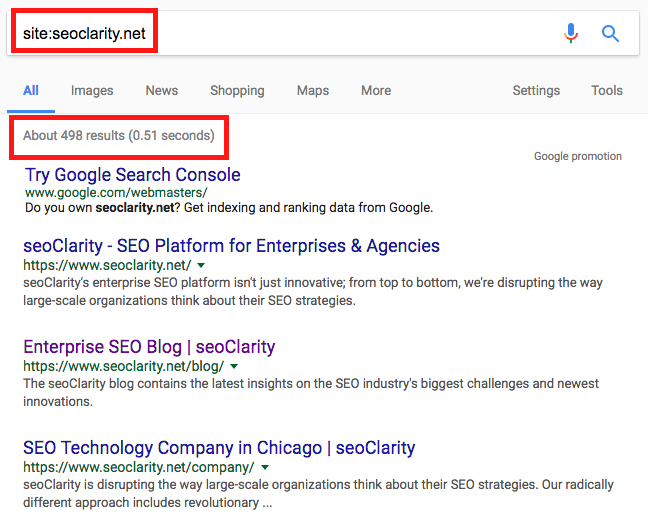 seoClarity has been executing site audits for many years and sometimes our clients tell us how frustrating it can be to come across the same common SEO issues over and over again. This post outlines the most common technical SEO problems that seoClarity has encountered while doing hundreds of site audits over the years. Hopefully, our solutions help you when you come across these issues on your site. When we talk about “technical SEO,” we’re referring to updates to a website and/or server that you have immediate control over and which have a direct (or sometimes indirect) impact on search engine crawling, indexation and ultimately: search rankings. Technical SEO includes components like page titles, title tags, HTTP header responses, XML sitemaps, 301 redirects, and metadata. Technical SEO does NOT include analytics, keyword research, backlink profile development or social media strategies. These 15 common technical SEO fixes are often overlooked, yet straightforward to fix and crucial to boost your search visibility and SEO success. Site security with HTTPS is more important than ever. In October 2017, Google rolled out a “not secure” warning in Chrome every time a web user lands on an HTTP site. To check if your site is HTTPS, simply type your domain name into Google Chrome. If you see the “secure” message (picture below), your site is secure. However, if your site is not secure, when you type your domain name into Google Chrome, it will display a gray background—or even worse, a red background with a “not secure” warning. This could cause users to immediately navigate away from your site. To convert your site to HTTPS, you need an SSL certificate from a Certificate Authority. Once you purchase and install your certificate, your site will be secure. When you search for your brand name in Google, does your website show up in the search results? If the answer is no, there might be an issue with your indexation. As far as Google is concerned, if your pages aren’t indexed, they don’t exist—and they certainly won’t be found on the search engines. Type the following into Google’s search bar: “site:yoursitename.com” and instantly view the count of indexed pages for your site. If your site isn’t indexed at all, you can begin by adding your URL to Google. If your site is indexed, but there are many MORE results than expected, look deeper for either site-hacking spam or old versions of the site that are indexed instead of appropriate redirects in place to point to your updated site. If your site is indexed, but you see quite a bit LESS than expected, perform an audit of the indexed content and compare it against which pages you want to rank. If you’re not sure why the content isn’t ranking, check Google’s Webmaster Guidelines to ensure your site content is compliant. If the results are different than you expected in any way, verify that your important website pages are not blocked by your robots.txt file (see #4 on this list). You should also verify you haven’t mistakenly implemented a NOINDEX meta tag (see #5 on this list). XML sitemaps help Google search bots understand more about your site pages, so they can effectively and intelligently crawl your site. Type your domain name into Google and add “/sitemap.xml” to the end, as pictured below. If your website doesn’t have a sitemap (and you end up on a 404 page), you can create one yourself or hire a web developer to create one for you. The easiest option is to use an XML sitemap generating tool. If you have a WordPress site, the Yoast SEO plugin can automatically generate XML sitemaps for you. A missing robots.txt file is a big red flag—but did you also know that an improperly configured robots.txt file destroys your organic site traffic? To determine if your robots.txt file is incorrect, type your website URL into your browser with a “/robots.txt” suffix. If you get a result that reads "User-agent: * Disallow: /" then you have an issue. If you see “Disallow: /”, immediately talk to your developer. There could be a good reason it’s set up that way, or it may be an oversight. If you have a complex robots.txt file, like many e-commerce sites, you should review it line-by-line with your developer to make sure it’s correct. When the NOINDEX tag is appropriately configured, it signifies certain pages are of lesser importance to search bots. (For example, blog categories with multiple pages.) However, when configured incorrectly, NOINDEX can immensely damage your search visibility by removing all pages with a specific configuration from Google’s index. It’s common to NOINDEX large numbers of pages while the website is in development, but once the website goes live, it’s imperative to remove the NOINDEX tag. Do not blindly trust that it was removed, as the results will destroy your site's visibility in search. If you don’t want to spot check, use Clarity Audits, seoClarity's site audit tool to scan your entire site. If you see any “NOINDEX” or “NOFOLLOW” in your source code, check with your web developer as they may have included it for specific reasons. If there’s no known reason, have your developer change it to read <meta name="robots" content=" INDEX, FOLLOW"> or remove the tag altogether. If your site doesn’t load quickly (typically 3 seconds or less), your users will go elsewhere. Site speed matters to both your users' experience and to Google. If you don’t want to spot check, use seoClarity Page Speed insights to scan your site. Speak with your web developer to ensure the best possible solution for your site's particular page speed issues. Remember when you discovered “yourwebsite.com” and “www.yourwebsite.com” go to the same place? While this is convenient, it also means Google may be indexing multiple URL versions, diluting your site's visibility in search. First, check if different versions of your URL successfully flow to one standard URL. This can include HTTPS and HTTP versions, as well as versions like “www.yourwebsite.com/home.html.” Check each possible combination. Another way is to use your “site:yoursitename.com” to determine which pages are indexed and if they stem from multiple URL versions. If you discover multiple indexed versions, you’ll need to set up 301 redirects or have your developer set them up for you. You should also set your canonical domain in Google Search Console. Rel=canonical is particularly important for all sites with duplicate or very similar content (especially e-commerce sites). Dynamically rendered pages (like a category page of blog posts or products) can look like duplicate content to Google search bots. The rel=canonical tag tells search engines which “original” page is of primary importance (hence: canonical)—similar to URL canonicalization. This one also requires you to spot check your source code. Fixes vary depending on your content structure and web platform. (Here’s Google’s Guide to Rel=Canonical.) If you need assistance, reach out to your web developer. With more and more brands using dynamically created websites, content management systems, and practicing global SEO, the problem of duplicate content plagues many websites. Ecommerce site store items appear on multiple versions of the same URL. Printer-only web pages repeat content on the main page. The same content appears in multiple languages on an international site. Google’s support page offers other ideas to help limit duplicate content including using 301 redirects, top-level domains and limiting boilerplate content. Broken images and those missing alt tags is a missed SEO opportunity. The image alt tag attribute helps search engines index a page by telling the bot what the image is all about. It’s a simple was to boost the SEO value of your page via the image content that enhances your user experience. Most SEO site audits will identify images that are broken and missing alt tags. Running regular site audits to monitor your image content as part of your SEO standard operating procedures makes it easier to manage and stay current with image alt tags across your website. Good internal and external links show demonstrate to both users and search crawlers that you have high quality content. Over time, content changes and once great links break. Broken links create a poor user experience and reflect lower quality content, a factor that can affect page ranking. While internal links should be confirmed every time a page is removed, changed or a redirect is implemented, the value of external links requires regular monitoring. The best and most scalable way to address broken links is to run regular site audits. Our Site Audit will help you find the pages where an internal link exists and you can then fix those links by replacing the broken link with the correct / new page. Use Link Explorer to find all external links that are broken. From there, you can reach out to the sites with broken links and provide them with the correct link or new page. Structured data is a simple way to help Google search crawlers understand the content and data on a page. For example, if you’re page contains a recipe, an ingredient list would be an ideal type of content to feature in a structured data format. Address information like this example from Google is another type of data perfect for a structured data format. As you roll-out new content, identify opportunities to include structured data in the page and coordinate the process between content creators and your SEO team. Better use of structured data may help improve CTR and possibly improve rank position in the SERP. Once you implement structured data, review your GSC report regularly to make sure that Google is not reporting any issue with your structured data markup. In December 2018, Google announced mobile-first indexing represented more than half of the websites appearing in search results. Google would have sent you an email when (or if) your site was transitioned. If you’re not sure if your site has undergone the transition, you can also use Google URL Inspection Tool. Whether Google has transitioned you to mobile-first indexing yet or not, you need to guarantee an exceptional mobile user experience. Anyone using responsive website design is probably in good shape. If you run a “.m” mobile site, you need to make sure you have the right implementation on your m-dot site so you don’t lose your search visibility in a mobile-first world. Guarantee the appropriate and correct hreflang code and links. Update all meta-data on your mobile site. Meta descriptions should be equivalent on both mobile and desktop sites. Add structured data to your mobile pages and make sure the URLs are update to mobile URLs. Meta descriptions are those short, up to 165-character content blurbs that describe what the web page is about. These little snippets help the search engines index your page and when written well can stimulate audience interest in the page. 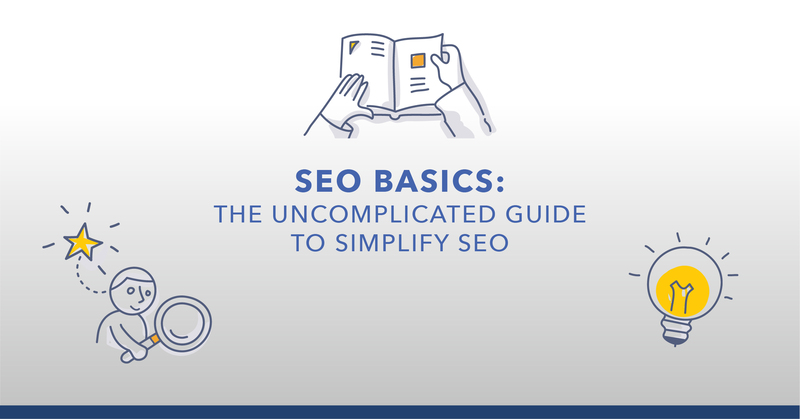 It’s a simple SEO feature, but a lot of pages are missing this important content. You might not see this content on your page, but it's the most important that helps the user know if they want to click on your result or not. Like your page content, meta descriptions should be optimized to match what the user will read on the page. For pages missing meta descriptions: run an SEO site audit to find all pages that are missing meta-descriptions. Determine the value of the page and prioritize accordingly. 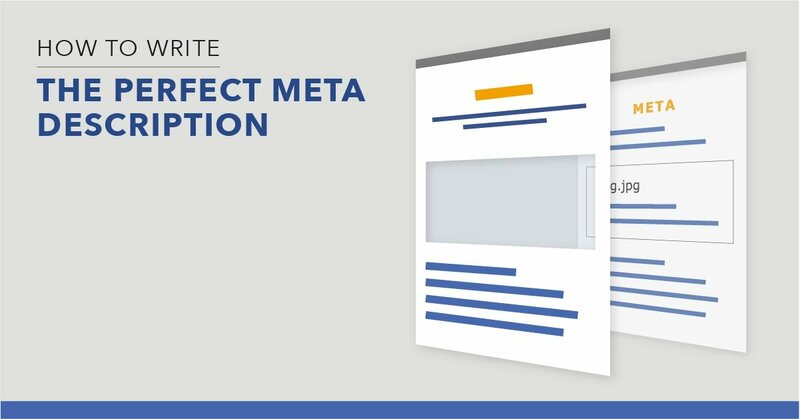 For pages with meta descriptions: evaluate pages based on performance and value to the organization. An audit can identify any pages with meta-description errors. High value pages that are almost ranking where you want should be optimized first. Any page that undergoes an edit, update or change should also have the meta description updated at the time of the change too. It's important to make sure that meta descriptions are unique to a page. Hreflang is one of several international SEO best practices including hosting sites on local IPs and connecting with local search engines. The benefits of serving locally-customized content to users in their native language, however, really cannot be understated. Using hreflang tags requires a fair amount of detail work to ensure all pages have the appropriate code and links with errors not being uncommon. Google provides a free International Targeting Tool and there are a variety of third-party tools you can use as well. For instance, with our site audits, you can in-depth HREFLang audit and verify your implementation with cross-checks of referenced URLs. seoClarity's HREFLang audit capability displays the count of hreflang tags found and lists the errors with specific tags. Guaranteeing the code is correct. A tool like Aleyda Solis’ hreflang Tags Generator Tool can simplify the effort. When updating a page or creating a redirect, update the code on all pages that refer/link to it. Investigating the 15 common technical SEO solutions in this blog post is the best way to quickly improve your SERP visibility and can have a hugely positive impact on the user experience of your site. Editor's Note: This post was originally published in October 2017 and has been updated for accuracy and comprehensiveness.